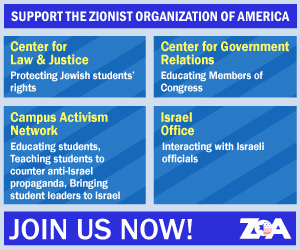 ZOA opposes the Israeli Supreme Court’s decision overturning the Israeli government’s order to deport Lara Alqasem, the terrorist-supporting recent chapter president of the violent BDS and hate group, Students for Justice in Palestine (SJP). The Israeli Supreme Court’s Alqasem decision endangers Israeli security, and severely damages Israeli and worldwide efforts to combat terrorism, demonization and boycotts against Jews and Israelis. The United States would never knowingly permit the entry into the U.S. of someone whose record was comparable to Alqasem’s heinous record of leading actions to support Jew-killing terrorists and anti-Israel boycotts, divestment and sanctions (BDS). Neither would any other self-respecting country or court. Alqasem and her SJP chapter held a “national day of action” supporting Rasmea Odeh – the convicted terrorist who masterminded the murder of two American Jewish college students at Hebrew University in Israel, and a key military operative of designated foreign terrorist group the Popular Front for the Liberation of Palestine (PFLP). Alqasem and her SJP chapter held a “national day of action” supporting Rasmea Odeh – the convicted terrorist who masterminded the murder of two American Jewish college students at Hebrew University in Israel, and a key military operative of designated foreign terrorist group the Popular Front for the Liberation of Palestine (PFLP). Under Alqasem’s leadership, UF SJP also engaged in boycott actions against a leftist gay Israeli speaker (simply because he was Israeli) and Sabra hummus; viciously falsely demonized Israel as a “colonialist” and as engaged in “ethnic cleansing”; falsely portrayed Palestinian-Arabs in the midst of attacking innocent Israelis as executed “in cold blood.”; refused to “normalize” with Jewish groups; brought in virulent anti-Israel speakers; and staged disruptive protests at pro-Israel events. All this is well documented, including with screenshots. 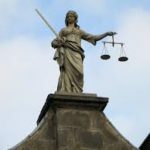 The Israeli Supreme Court’s decision also ignores SJP’s terrorist connections. Congressional testimony by a former U.S Treasury official documented the financial ties between Hamas and SJP’s sponsors and funders: Officials of American “charities” that were implicated in funneling money to terrorist group Hamas (in the Holy Land Foundation cases) now lead and support American Muslims for Palestine (AMP); AMP is “a leading driver of the BDS campaign” and is SJP’s major sponsor and organizer. It is a mistake for the Israeli Supreme Court to permit an SJP leader to enter Israel, to undermine the country from within. 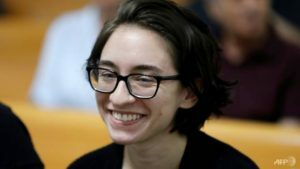 It is also ironic that Alqasem is intending to study human rights law at Hebrew University enabling her to become more effective in fighting against Israel and promoting her ugly and malicious and despicable anti-Israel pro-terrorist agenda. ZOA sincerely hopes that the Israeli Supreme Court will convene a full panel to reverse this dangerous decision.